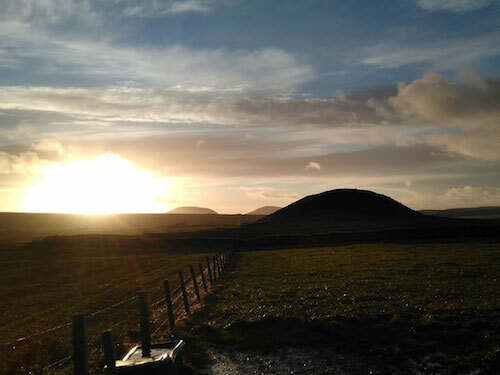 “Maeshowe in a sunset” by Magnus Gee is just one of the submissions from a young photographer for the Essence of Orkney Photography competition so far. The Orcadian is calling on all budding young photographers to submit their photos for our Essence of Orkney photography competition. Runners up will also win their picture printed on a canvas. Entrants under the age of 16 must obtain the consent of a parent or guardian prior to submitting any images. We have a special online viewing gallery for the competition, which allows people to submit images, check out the competition, cast their vote and share the top images to gather support. The competition has asked photographers of all skill levels to submit images that capture the very Essence of Orkney in the winter, bringing a fresh perspective to island life. We want to see entries that move away from the iconic imagery of Orkney, offering a new narrative. We are delighted to have teamed up with The Pickaquoy Centre for a special exhibition of the absolute best of the bunch. Fifteen shortlisted entries from across the three categories will be on show at the centre in February, and the public will be able to vote by ballot on the top five in the People’s Choice Category. Submissions will be accepted until Thursday, January 31. The exhibition will run from February 18 to March 4. Winners of the competition will be announced at the launch of the 2019 Orkney Islander magazine at the end of March, following on from the exhibition at the Pickaquoy Centre. Visit www.essenceoforkney.co.uk to submit your entry, and don’t forget to share the link on social media to boost support for your work!